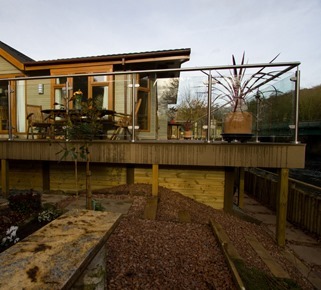 Mr Grundy needed a decking solution for his park home, so he contacted TimberTech. 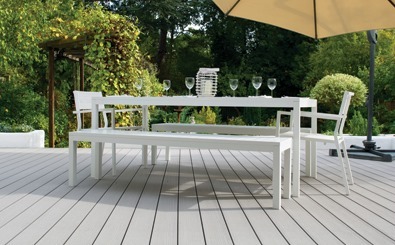 We have provided lots of decking designs for residential park homes, so were happy to advise on the best solution for Mr Grundy’s outdoor living space. 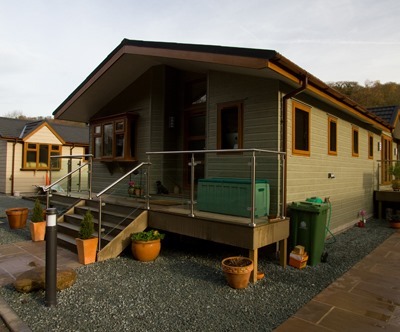 The customer’s park home is located in Merebrook Park in Derbyshire, which is located in a UNESCO World Heritage site at the foot of the Peak District National Park. Mr Grundy wanted an outdoor space that would allow him to make the most of his idyllic surroundings. 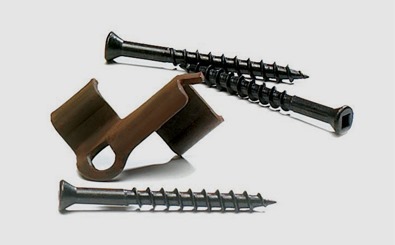 "I was looking for a long-term, low-maintenance solution for my outdoor living space. I did not want to have to worry about the continual maintenance. Choosing TimberTech has provided me with a low-maintenance solution, so I can enjoy my park home, rather than having to worry about the hassle of maintaining it"
Thanks to the TimberTech team, there are now 70 square metres of decking around two sides of this luxury park home. Mr Grundy chose TimberTech’s popular VertiGrain 2 board – a lovely natural wood colour that blends perfectly with the natural beauty of the surroundings and is a great option for park home projects. 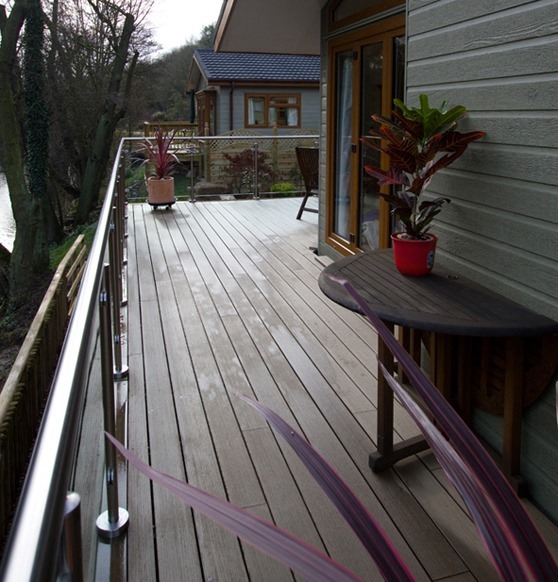 At the back of the property, steps made from the same boards give access to the raised decking, where there are stunning views of the River Derwent. 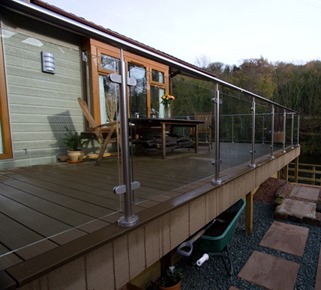 After listening to our suggestions, Mr Grundy also opted for our glass balustrading system with an integrated gate, which provides a superb finishing touch while allowing an uninterrupted view of the surrounding Derbyshire Dales.